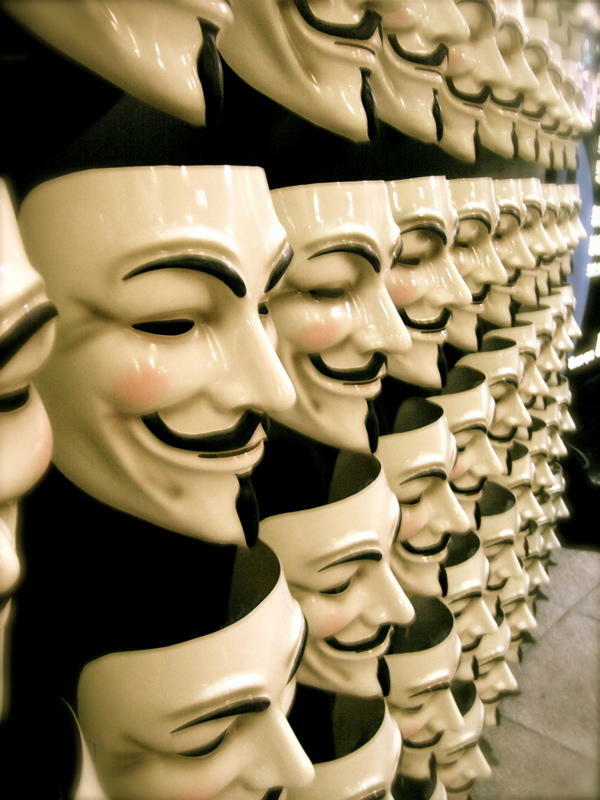 The hacker collective celebrates Guy Fawkes day by defacing a crapload of websites. Ah, Anonymous. Just when we thought the rash of "hacktivism" associated with Occupy Wall Street and WikiLeaks was over, you take the opportunity to smash our faces with the pie of broken websites. Today, November 5th, is Guy Fawkes Day. It commemorates the spoiling of a Catholics plot to blow up the House of Lords and depose the Protestant King James I. The hacker group known as Anonymous has taken the Guy Fawkes mask as their symbol, possibly because they are Catholics, but more likely due to the graphic novel and subsequent movie adaption of V for Vendetta about a British anarchist fighting for freedom. That's where the following rhyme is often repeated: "Remember, remember; The fifth of November; The gunpowder treason and plot. I know of no reason; Why the gunpowder treason; Should ever be forgot." How did the hackers celebrate November 5th this year? Well, by claiming to attack numerous websites for major companies and organizations including but not limited to PayPal, antivirus software-maker Symantec, ImageShack, NBC, the Argentina Government Bank, the Organization for Security and Co-operation in Europe (OSCE), and the official website for an Australian government program for disabled people. Many of the websites supposedly affected have been returned to their owners' control, but Anonymous claims to have stolen some documents and even personal information such as PayPal passwords. Not content to let their anarchist acts speak for themselves, the hackers took to Twitter and other social media to proclaim their commemorative actions. The torrent began around 9pm ET last night with the following statement from the official Anonymous "press arm": "Preparing #OpVendetta Remember, remember 5th of November." There follows a stream of announcements, boasts and taunts as PayPal and the other sites are defaced. "The Twitterverse goes mad wondering what #Anonymous will do next on this 5th day of November since we already started out with a bang!" read a Tweet from Anonymous Press at 10:30pm ET last night. Most of the attacks were merely defacing websites with Anonymous messaging in protest of supposed anti-freedom initiatives by governments, but the attack on PayPal is potentially more serious. Anonymous claims its hackers stole information from 27,935 and posted still-encrypted passwords for all to see. PayPal responded by saying, "We're investigating this but to date we have been unable to find any evidence that validates this claim." Still, if PayPal was indeed hacked then the allegations against Anonymous escalate from vandalism and criminal mischief to allowing the actual theft of real assets. The Anonymous attacks don't just involve financial institutions and governments; NBC.com was hacked in addition to websites for properties such as the Jimmy Fallon show, Saturday Night Live and even Lady Gaga. Really? Gaga? She's not subversive enough for you, Anonymous? There will likely be more reports of hackings over the course of the day no doubt ensuring we will indeed remember, remember the 5th of November. Update: According to a PayPal spokesperson, it turns out that PayPal itself was not hacked. They stated that, "It appears that the exploit was not directed at PayPal after all, it was directed at a company called ZPanel. The original story that started this and was retweeted by some of the Anonymous Twitter handles has now been updated."